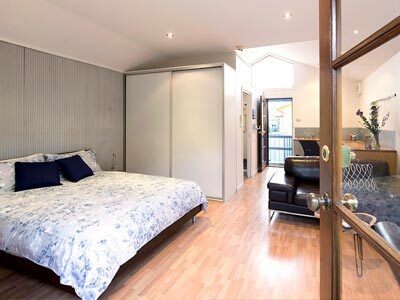 StudioQ Apartments has been providing a quality accommodation in Canberra for well over a decade. A forerunner to AirBnb, the studios are both purpose built in a fantastic central location to the CBD for those discerning guests who seek a unique property with a custom bespoke fit out and privacy. 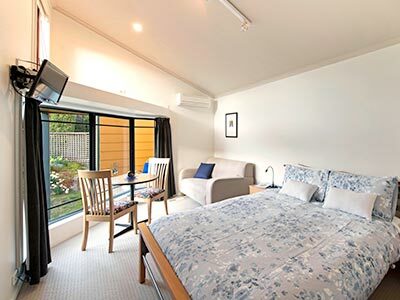 Two studios to chose from, both with private entries, StudioQ Apartments continues to have many return guests and strives to provide an excellent and comfortable experience for all. Designed to be of a superior standard and not “corporate beige”, our properties are sought after by travelling executives, visiting academics and tourists alike. Quiet privacy is a feature and no on site parties are possible. All properties are within minutes to public transport and bike paths. Sorry, no smoking and pets allowed. Limited disabled access. Equally suited to either business people or tourists, wi-fi internet access and washing machine / dryer make StudioQ great for longer stays. Max 2 people. $180 - $220 per night. A great option for the traveller coming to Canberra for either business or as a tourist. Wifi and so much better than a motel room. Max 2 people - $120 - $150 per night.